On Thursday night, ESPN’s Adam Rittenberg reported that Northern Illinois University hired a new head coach. The lucky recipient? Baltimore Ravens running backs coach, and NIU alumnus, Thomas Hammock. Hammock played for the NIU Huskies as a running back between 1999 and 2002. He twice rushed for over 1,000 yards, in 2000 and 2001. After graduating from NIU, Hammock enrolled at the University of Wisconsin-Madison. After graduating in 2003, Thomas became a graduate assistant for the Badgers program. He moved on to NIU as the running backs coach in 2005. In 2007 he left NIU to coach the running backs at Minnesota. He was promoted to co-offensive coordinator in 2010. In 2011, Hammock again switched teams. This time, he returned to Wisconsin to be the assistant head coach and running backs coach. 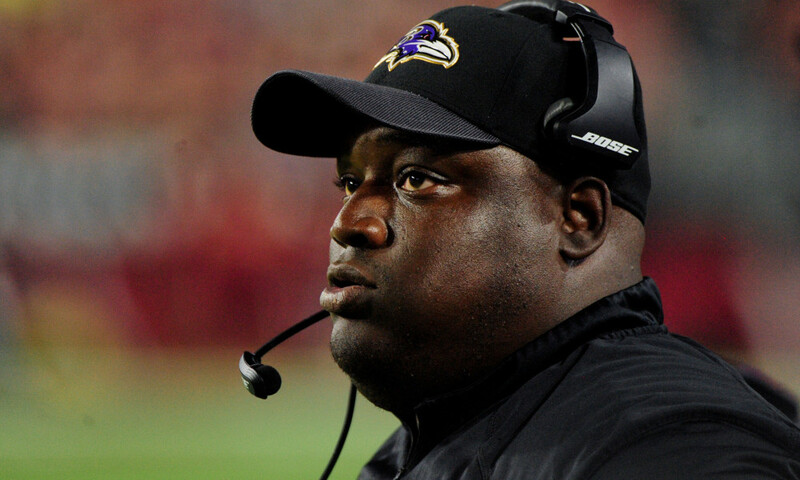 In 2014, the Baltimore Ravens hired Hammock as the franchise’s new running backs coach. He came into a less than optimal situation. The Ravens let star running back Ray Rice go after his domestic violence incident, and the Ravens were forced to move on with uncertainty surrounding the position. With Hammock at the helm, the Ravens struck gold when Justin Forsett broke on to the scene. Since 2014, the Ravens have relied on four running backs to be the primary runners, Justin Forsett, Terrance West, Alex Collins, and Gus Edwards. Each performed remarkably well during their tenure as starting running back. The Ravens have big shoes to fill as Hammock departs for his alma mater. Not only do the Ravens lose an exceptional positional coach, but it also further deflates head coach John Harbaugh’s plan to retain as much of his staff as possible. He already lost former offensive coordinator, Marty Mornhinweg. The Ravens will need to find a new running backs coach that can fit well with the current offensive staff in place. Whether that coach comes from the pro or college ranks, as Hammock did, only time will tell.